FloorPlay Tile & Remodeling provides our customers with contracting service that they can rely on. A Good Lay is Just A Phone Call Away! FloorPlay Tile & Remodeling are experts with 45 years of experience in installing tile, marble, and travertine in the Jacksonville, FL area. We have several years of experience and provide our customers with military and senior citizen discounts. 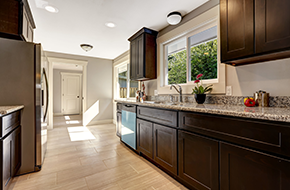 We take on a variety of remodeling projects, including kitchens and bathrooms, and we offer tile installation. As we are very experienced in floor installation, we are just as fluent with floor removal (tile, wood, carpet, etc). With FloorPlay Tile & Remodeling, “good lay is just a phone call away!” We offer additional painting, accent wall installation, and deck repairs and are always ready for the next job. There are many ways to remodel a bathroom, and our projects are as simple as installing a new tile floor or doing a complete overhaul of the room. We do tiling, cabinetry, counter tops, and painting and offer custom kitchen design for homeowners looking to add a bit more personality and flair to their kitchens. With our assistance, fixer-upper kitchens will be transformed into highly functional rooms ready for gourmet cooking. Tile installation includes flooring and walls in bathrooms and kitchens. We use the highest quality of tiles to create one-of-a-kind surfaces for our customers. Tile flooring is resistant to water and staining, durable, and highly customizable, as are tile walls and backsplashes. Tile flooring is ideal in bathrooms and kitchens but also works nicely in whole home interiors. Lastly, we do bathroom remodeling. A full bathroom renovation from FloorPlay Tile & Remodeling includes a new tub and shower (we do walk-ins), new cabinetry for better storage and clutter reduction, a new floor (heating is available), and upgraded plumbing and electrical in order to meet codes and regulations. 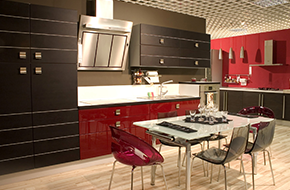 Our remodeling service is extensive and guaranteed to satisfy. FloorPlay Tile & Remodeling is committed to customer satisfaction. We work all around Jacksonville, FL and are happy to answer any questions our clients have. Get in touch today to receive free estimates. We offer senior citizen and military discounts, too!